We specialize in custom iron fabrication for your home or business! We take pride in our craftsmanship and offer nothing less than top professional iron work. BAY STATE IRON WORK SERVICES INCLUDE BUT NOT LIMITED TO: Wrought Iron Hand Rail Railing installations Handicap Railings Spiral staircase construction Fence and window guard installation Security gates General welding services Driveway Gates Security Doors Radius Hand Rails Sign Frames Brackets/Corbels Roof Supports In-shop Repairs On-site Mobile Welder Major and Minor Repairs Big and Small jobs welcome! Elite Iron Design is the company that is behind some of the best iron and metal design work in New England. You may not see us everyday, but you will see our work. 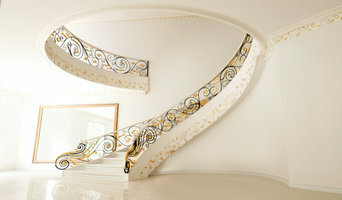 Nezam Iron Works is an exclusive iron works company specializing in high-end luxury design. As our clients span the world, we ensure every project is completed with perfect precision. Our work, speaks for itself. Patriot Foundry specializes in high-quality nonferrous sand castings to help you, to help solve your product development needs. Patriot is different than your typical foundry. We take the time to fully understand your project specifications and application requirements. We’ve earned the respect of industry by actively partnering with our clients to solve their part development and manufacturing challenges. Meeting engineering challenges has been our passion for more than 20 years. We’re continuously exploring ways to save our customers money and solve their part development challenges. For the home owner, architect, general contractor, designer, landscape architect, dock installer; we partner to develop beautiful solutions for aesthetically pleasing compliments to your fence, kitchen, bath, deck, or dock. We cast finials, knops, hinges, handles, brackets, ornamental components, and all your dock hardware needs from aluminum, zinc, or copper-based alloys. Providing Welding services in the Gilford area. When it comes to Custom Handrails, Equipment Repair and Welding, no one compares to LaFlamme Ironworks LLC. With years of combined experience, LaFlamme Ironworks LLC has worked hard to build the trust of our clients in Norwood, Attleboro and Wellesley and beyond. Visit our website to learn more. Or better yet, click the link and call us today! HammersmithStudios is a full service Art metal Studio in Concord Ma. We are the leaders in Highly detailed Wrought ironwork , Copper and Bronze Architectural metal Our Craftsmanship . is from another era. The chainsaw is probably one of the handiest and valuable tools you have in your shed. A chainsaw can significantly reduce any manual work involved when it comes to landscaping around the home. We are a custom welding and Fabrication shop that is capable of welding earrings back together to building decorative and functional Iron railings. An ornamental ironworker fabricates bulk iron into the types of structures that a particular home calls for, then installs them onsite. Some of these pieces are mass produced, others custom crafted. Many ornamental ironworkers also have the design skills to fashion unique decorative components. 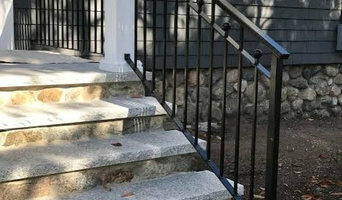 Ironworkers must be trained in safety to create elements such as railings and balconies that both satisfy a home’s aesthetic needs and meet Hampstead, NH building codes. Here are some related professionals and vendors to complement the work of ironwork: Fencing & Gate Sales & Construction, Decks, Patios & Outdoor Enclosures, Siding & Exteriors. Find an ironworker on Houzz. 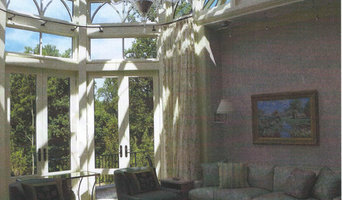 Narrow your search in the Professionals section of the website to Hampstead, NH ironwork. You can also look through Hampstead, NH photos to find examples of ironwork that you like, then contact the ironworker who fabricated them.